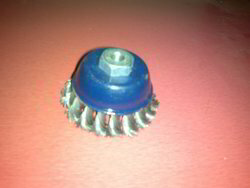 Our domain expertise has enabled us to come up with an excellent range of Industrial Brushes. 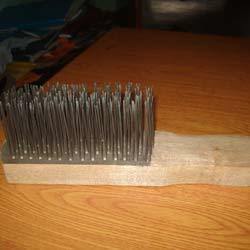 These brushes can be availed by the clients in variegated sizes as per the requirements of the customers. 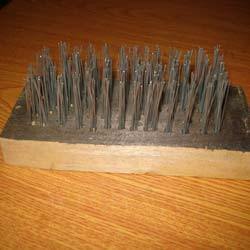 Under this category, we offer our customers a wide assortment of Welder Brushes, Nylon Roller Brush, Foundry Brush, Scrubbing Brushes, Circular Brush, Stringer Brush, Pencil Brush etc. It's made by Carbon steel wire. Available Sizes are - 3"X10MM 4"X14mm. 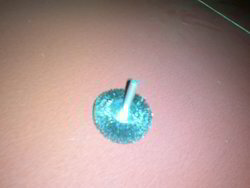 Use for cleaning metal sheet. Made by different sizes of brass wire(Customized) with G.I. or S.S. body. Size 3" to 30" indifferent Dia. Generally use for cleaning of boiler tube. 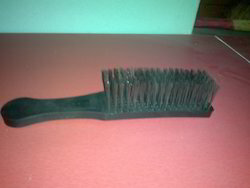 It's made by different sizes of nylon brushes. Generally use for soft grinding. Sizes Availability - 3" -18"
It's made by PP wooden and PVC handled. It's made by Carbon Steel wire with MS Socket. Size available in 6" to 12"
It's made by MS/ss/Brass wire and MS spindle Socket. Size available in 1" to 4"
It's made by MS twisted wire with 5 mm dia. It's widely used in pipe line industry and otjher construction industry. It's made by PPC body and MS brisle. 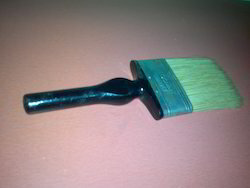 Our enterprise is counted among the most reliable manufacturers and suppliers of Foundry Brushes. The brushes offered by us are widely used for conveyor cleaning or wide face brushing of a substrate in a production environment. These brushes are based on strip brush technology and are specially designed to meet the customer's specifications and requirements. Before the end delivery, all these brushes are stringently checked by the quality analyzers of our firm to ensure their flawlessness. 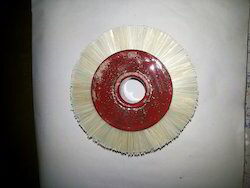 Owing to the thorough knowledge of the industry, we are offering a wide array of Scrubbing Brushes. These are designed by the professionals using high quality raw material following industry standards. 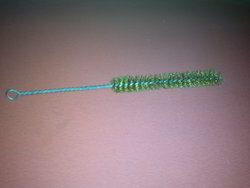 The offered brushes are widely used for various cleaning purposes and offered by us comes with handles or without handle to meet the needs of varied customers. Moreover, our professionals ensure that only defect-free products are delivered at the clients' end within the promised time. 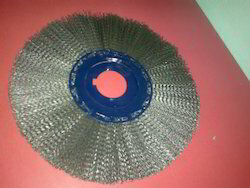 Owing to the manufacturing facility, we are engaged in offering a wide range of Welder Brushes. 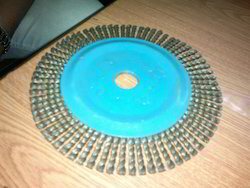 High quality raw material and tempered round steel wire are widely utilized by the professionals in manufacturing these brushes. 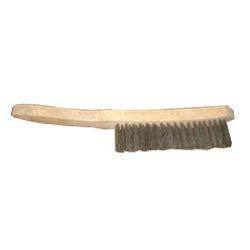 Moreover, our offered brushes are generally used for cleaning, scratching and burr removal. These can be availed by the clients with wood or plastic handles as per their requirements. Further, we offer brush fill options that include stainless steel, brass or nylon.